For some reason now, I've gotten into the habit of reading a lot more, resulting in a lot of finished books that I have loved and want to tell so many people about... this means that I am getting into writing many more book reviews. Due to my un-denying love for reading I'm going to aim to do a review once a month! 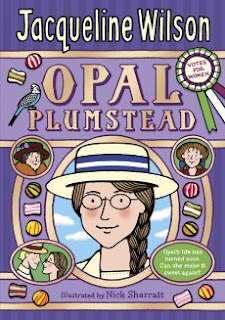 The book that I am writing about for august is called Opal Plumstead by Jaqueline Wilson, one of my childhood heroes. 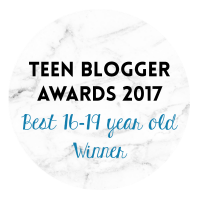 When I was growing up I started reading Jaqueline’s simple books such as 'The Worry Website' and 'The mum minder' which if you are of a younger age I would recommended reading because they are so easy to get you into reading. Then as I got older I started reading books such as 'Sapphire Battersea' and 'Cookie'. I have pretty much every book from Jaqueline Wilson. However one book I had never read was 'Opal Plumstead'. Having always loved Jaqueline Wilson due to her being the person to create my undesiring love for reading, I couldn't believe I haven't read this book. After researching the book I found that it is classes in the 10+ genre. However after reading the book myself I believe that anyone could read this book in the way that it focuses on feminism and the suffragettes, what I would class as a subject for older children to learn about. The book educates you about Mrs Pankhurst and the journey that these suffragettes have to go on to make their points heard. I found the book very inspirational in the way that it makes me want to stand up and say what I believe in more often instead of hiding away. The book however doesn't start of like this. It starts of showing Opal and her family living in poverty you could say. They have a rundown house, hardly able to eat enough food every day. Opals mother doesn't work however her father is a writer. He writes books, yet none have ever been published. Until now... The father comes home saying his book needs a few changes then it will become published. His family knowing that this means a big pay out, start buying things thinking that they can soon pay it all off with the new money. Opal's sister buys new dresses however Opal doesn't care how she looks, she cares more about painting. This is why she goes and buys a new set of paints against her mother’s wishes. Opals mother feels as though she has failed in bringing up Opal up because she doesn't care about how she looks. This is because of the image her sister created. Opal's mother favourites her sister because she is the 'perfect image' as I would call it in society. She is a skinny tall girl with beautiful hair. When the police come knocking at the door... the family have their world turned around. Opals father had been stealing money from the company he works for, due to the book not being published, resulting in not wanting to let his family down. This results in two big changes in Opals life. She loses her father as well as her best friend. This is because the girl, Olivia’s family believe this was completely wrong so they are banned from seeing each other. Opal and her family are distraught, now living off no money trying to scrape by. To try and survive this tough time Opals mother pulls opal out of her scholarship at school into a working job. This didn’t start of very well. Opal faced many issues that teens do in society today. She was bullied by fellow workers because she was young and from another town. However when called in to the bosses office (Mrs. Roberts) Opals world is turned around. Not only is she moved into the design room, Opal also gets a leaflet to a suffragette meeting. This is Opal’s ultimate dream, finally applying her skills of art in some way. Opal attended many a meetings then often returning home to Mrs. Roberts for tea. This is where she meets Morgan. Opal and Morgan become very close, until his mother intervenes not liking them together. Due to Opal becoming upset of a silly thing she speaks out at a meeting finally with her own opinion. However this is the wrong thing to do. Not only is she banned from seeing Morgan but also attending meetings. At this stage in the book I felt proud of Opal even though she thought she’d done the wrong thing, I never have the courage to stand up in front of people and say... “You know what I disagree I think this and that”. Later into the book Opal goes on secret dates with Morgan... until the war breaks out. I’m not going to spoil the ending but I will leave you with this... I cried. I loved this book. I'm quite different from Opal, but through the book I could really relate to her. I loved that sometimes Opal was wrong, or that she often changed her mind on tings because this shows how we aren't all perfect in this world. There was also a family like that chopped and changed. As did some of the relationships with friends/acquaintances'. I like that the book shows everyone isn't living a perfect life and behind closed doors, who knows what is going on in peoples lives.